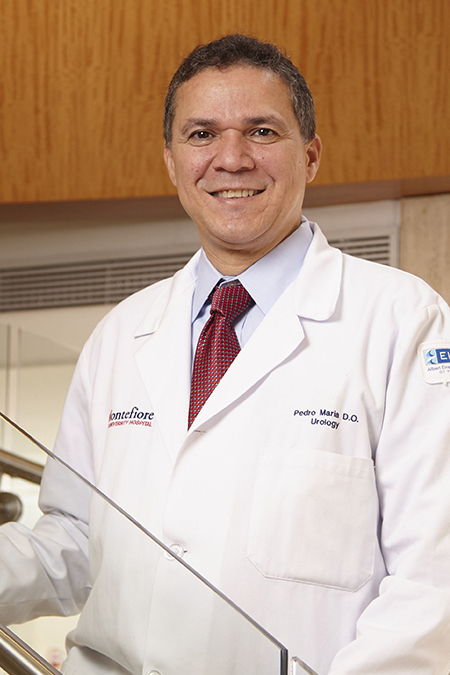 Pedro Maria, DO, obtained his medical degree from the Philadelphia College of Osteopathic Medicine. He completed his residency training in urology at the Albert Einstein Medical Center in Philadelphia, and he obtained fellowship training in minimally invasive and robotic surgery at Montefiore and Einstein. Dr. Maria's practice includes the treatment of patients with all forms of urologic disease. Dr. Maria has a particular interest in the treatment of male sexual dysfunction.